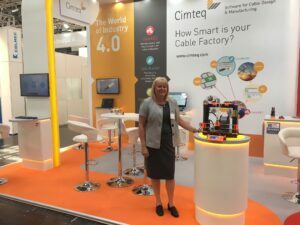 Cimteq is printing 3D prints at Wire Dusseldorf. 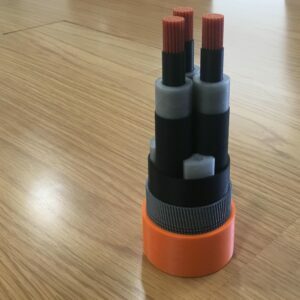 This print took 10 minutes to design in CableBuilder, 20 minutes to get it ready for 3D printing, and 84 hours to print in 5 colours (200mm tall). Material cost, $12 USD. Visit us in Hall 11 D15 to see a live demo. For a free online demonstration to discover how our software will transform your company, book a free demonstration or e mail info@cimteq.com for more information.